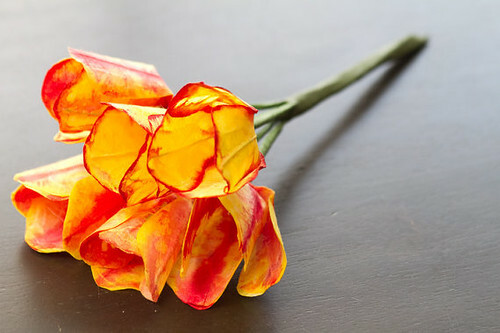 The vivid colors of these paper tulips stopped me in my tracks... a gorgeous taste of spring! I wrote to their creator, Danielle Connel, after spotting them in her shop, Shiny Monkey Buttons. In no time at all she was signed on as a project designer for the All Things Paper book. I'm afraid you'll have to wait until the June 11th release date to learn Danielle's technique, but for right now, feast your eyes on these photos and take a sneak peek at her project on the book's cover! Danielle enjoys working with brides-to-be. Contact her via Etsy [edit: shop has closed] or if you happen to be in central Missouri, she'll be at the Historical Society of Maries County's spring craft show in Vienna tomorrow, April 13th. 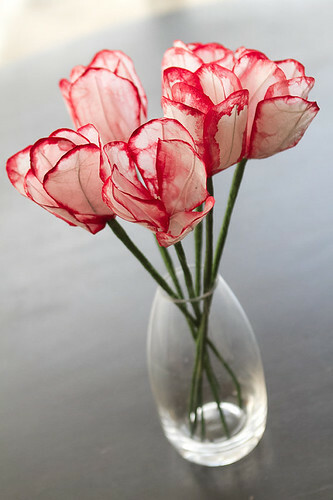 When creating a new design, Danielle hand sketches petal shapes, and then cuts and wires them. 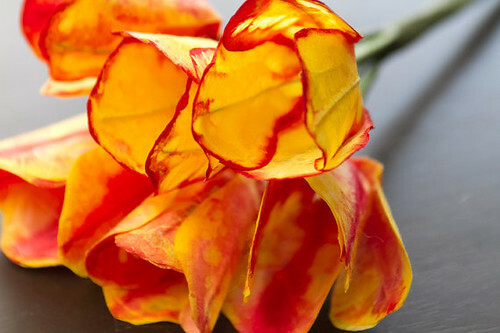 Her painting method makes the flowers look just like Mother Nature's finest. In case you're wondering, Danielle's shop name, Shiny Monkey Buttons, is a play on the nicknames of her three daughters. "They inspire, delight and challenge me every day. My flowers and my daughters are unique! No two are alike and each is beautiful." 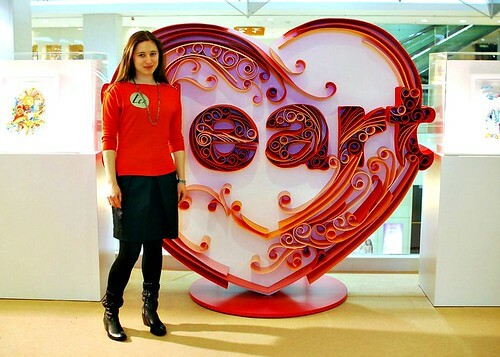 One last thing for today... the opening of the LCX Paper Quilling Art Exhibition featuring Yulia Brodskaya's work took place yesterday. Additional photos can be seen in an LCX Facebook album - enjoy! Wow ! the tulips are amazing ! Wowza, the tulips are wonderful!!! Also, Yulia's quilling is HUGE! I wonder if it's easier to work with larger strips of paper? Or harder...? i love danielles flowers..so pretty..lovely colour combinations! wow....how fantastic are those large pieces of yulia artworks!!! how exciting to be able to see any of the artworks up close!! Gorgeous flowers !!! Yulia's work amazing as always. Such breathtaking flowers. Happy weekend! Wow! 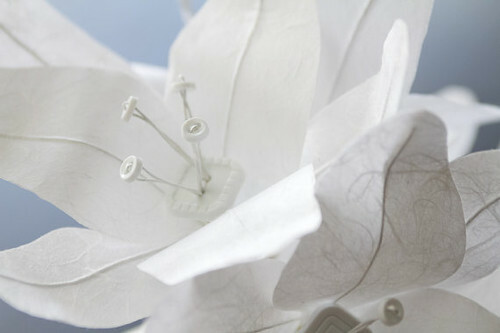 Those wire paper flowers are gorgeous. I can see why you wanted them to be a part of your book! I'll check out the photos from the art show.